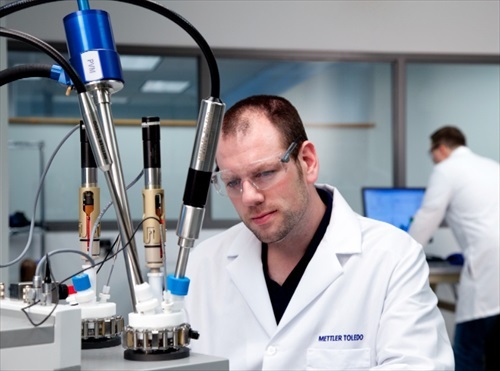 [Greifensee, Switzerland]—[24th May 2013]—METTLER TOLEDO is pleased to present the next installment in its thought-leading, on-demand webinar series. Entitled “Characterize, Optimize and Scale-up Pressure Reactions – Challenges and Solutions” and presented by METTLER TOLEDO Market Manager Brian Wittkamp, PhD, the free presentation reviewscritical pressure-reaction design parameters. It also explores enabling technologies such as Fourier Transform Infrared technology (FTIR) that help chemists gain better reaction control and more valuable reaction information for easier, safer and more cost-effective scale-up. Although the objectives of chemical development have not changed in recent years, Dr. Wittkamp notes that the market has. Chemistsmust bring new products to market faster, necessitating quick identification of workable opportunitiesand even quicker rejection of untenable ones. FTIR instruments (ReactIR) helps deliver a process that is safe, economically viable and robust by providingcritical understanding at small scale where lab resources,includingdevelopment time, can be limited. The data collected then allows these findings to be applied at larger scales. Using a METTLER TOLEDO EasyMaxsynthesis workstation combined with METTLER TOLEDO ReactIR technology, two pressurized hydrogenation reactions are analyzed. In the first, a one-step hydrogenation of a substitute 2-cyclohexene-1-one, mix rates are shown to influence reaction times. In the second, a complex hydrogenation of substituted hydrobenzene, accumulation of unstable hydroxylamine intermediate is prevented. In each case, in situFTIR data provideshigher-value reaction chemistry information when compared with potentially time-consuming and error-proneoffline sampling techniques.